We understand how complicated it can be organising the travel expenses of every member of your airline company. There are hundreds of receipts to review, corroborate and file, every month. Rydoo’s game changing online travel and expense management streamlines the process for all team members. The result? Not only is everyone happier and more in control of their expenses, but you save time and money for your airline company. See how we helped other airlines. 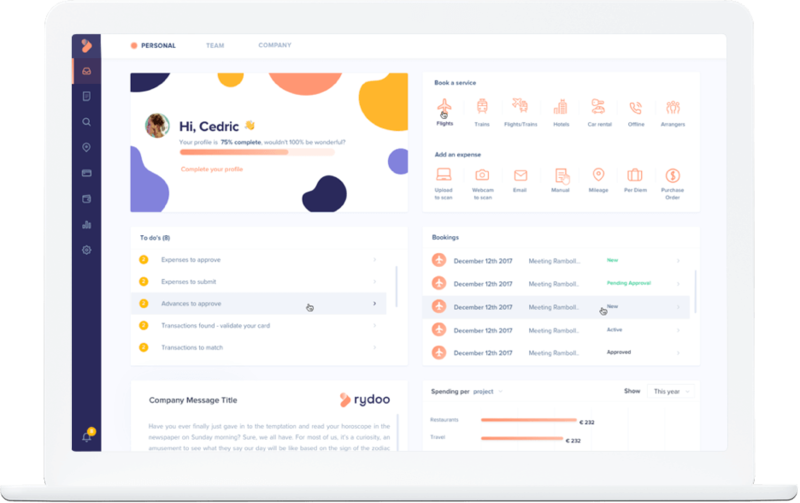 Rydoo takes care of the entire process of managing work related travel expenses, from booking hotel rooms to approving reimbursement. It’s easy to use, and ready to be implemented after only a few days. Our OCR scanners will automatically extract all the relevant details of receipts, so there’s no need to waste time manually entering information, and at the end of the month the details of employee’s expenses are packaged into one neat bundle, ready for the finance team to process. Remove the administrative heavy process of managing expenses from different countries. We understand that as an airline company you’ll have employees all over Europe, with Per Diem needs and hotel receipts ready to be processed. Rydoo takes care of it. Get started today with our 14-day free trial, and we’ll be on hand to answer any questions you may have. Request, approve and manage cash advances.